Our A Very Toddler Christmas series is all about connecting and having fun with your kids without having to do anything super complicated. If you are following along on Instagram than you already saw today's Day 16 activity. Today we are sharing a super easy Christmas treat- Graham cracker houses and Christmas tree cones! Add some frosting onto each plate as "glue" for the ice cream cone. Then stick the ice cream cone to the plate. Give the kids green frosting to smear all over their ice cream cone. Next have the kids decorate their Christmas tree cones with candy ornaments. Next build a graham cracker house using three graham cracker squares. Put icing on all edges so that all three sides stick together. Once you have your house shape, frost the roof squares so that the kiddos can decorate them. Maggy over at Red Ted Art originally introduced the idea to us of a mini gingerbread house and we love it! Hers are much more fun and use cooler cookies and more details so definitely check them out. The white frosting on the roof makes it look like snow! Kids can add all sorts of decorations. We kept ours super simple for today and just gave them a few candies. It is fun to add mini candy canes and other things like that as well. 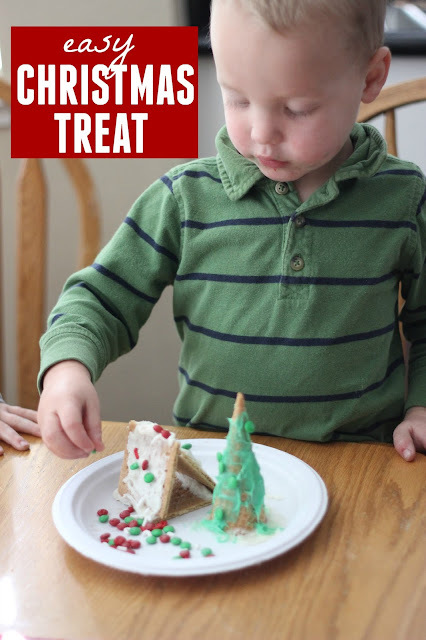 Kids will undoubtedly sneak a few treats while they are decorating! 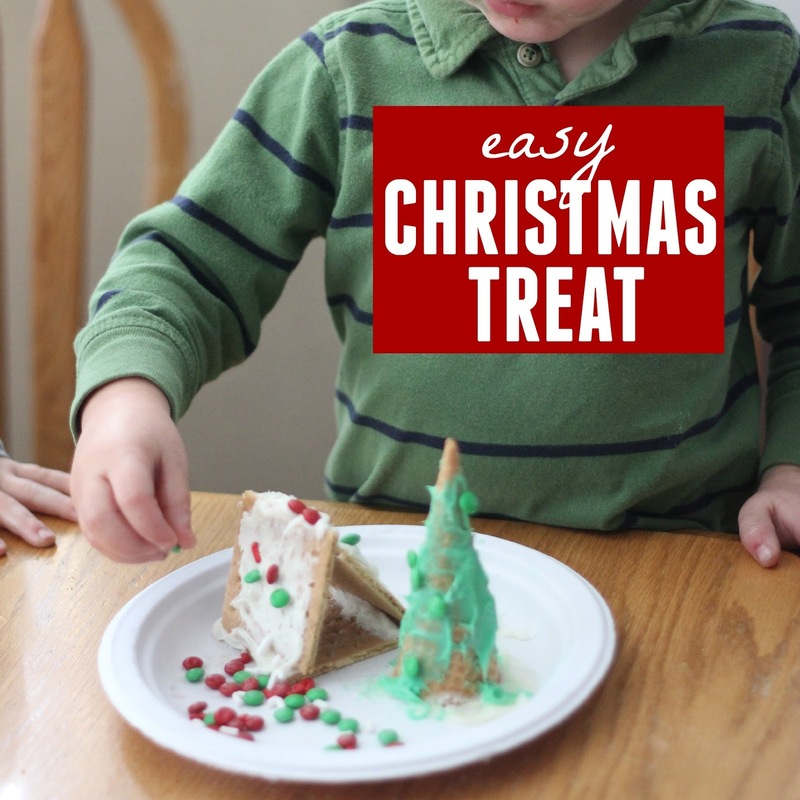 Once you are done making your graham cracker Christmas treat you can eat it or display it! This was such a simple and fun activity that we did with our little toddler/preschooler class this morning. The kids were big fans! If you've missed any of our other A Very Toddler Christmas series posts go to our A Very Toddler Christmas series landing page to find the whole list of 16 days of activities so far!